With Thanksgiving being today I thought I would take some time to tell you all what I'm thankful for. Each morning I'm massively thankful to wake up and live to see another day. I'm thankful for my freedom of religion and being able to worship openly. I'm thankful for my family who loves and supports me unconditionally. I'm thankful for all my friends who brighten up my life. I'm thankful for a roof over my head, food to eat and clothes to wear. I'm thankful that I am healthy and strong. I'm thankful for all of those who have fought, served and sacrificed so much so that I may live in a free country. I'm thankful for feeling the warm sunshine on my face. I'm thankful for my morning cup of coffee. I'm thankful for starry nights filled with beauty and wonder. I'm thankful for sprinkled donuts. 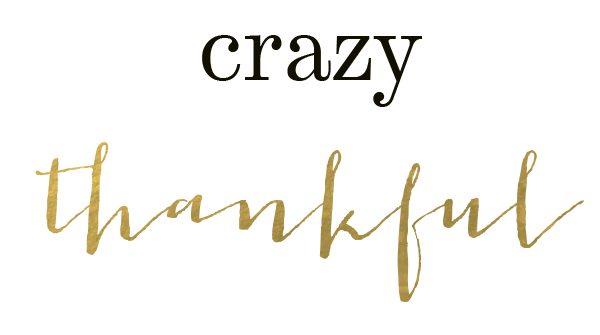 And finally I'm thankful for all my amazing blog readers and followers. I hope everyone has a fabulous Thanksgiving filled with food, football, family and friends and other festivities! "eat, drink and be thankful"